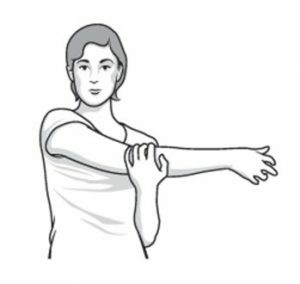 While it is difficult to know what may be causing your shoulder pain without an osteopath seeing you and assessing exactly what is going on, stretching exercises will invariably form a big part of your recovery. Before I give you my top exercises for shoulder pain, here are some simple lifestyle tips that we give our patients. 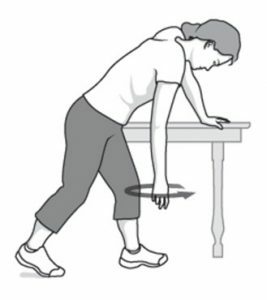 The most important thing is to try and keep your shoulder joint mobile with regular, gentle stretching exercises. 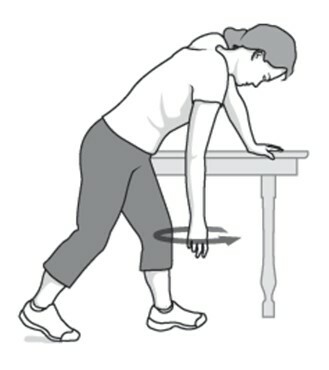 It is better if you warm up your shoulder before performing your exercises. 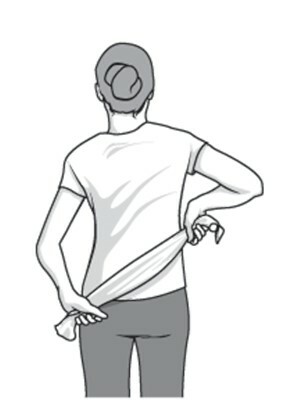 The best way to do this is to take a warm shower or bath beforehand. It may sound obvious, but try to avoid sleeping on the side with the painful shoulder. Sleep on your back with a small pillow underneath the bad shoulder to support it. Alternatively, sleep on your other side and hug a pillow. Adopting a foetal position and placing a pillow between your knees can also help ease pain for many patients. Ensure that your neck is adequately supported to take the pressure off the shoulder. If the neck is not supported, the nerves that run from the neck to the arm can get compressed, and this can result in numbness or tingling, usually with the compression of a nerve from the sleeping position. 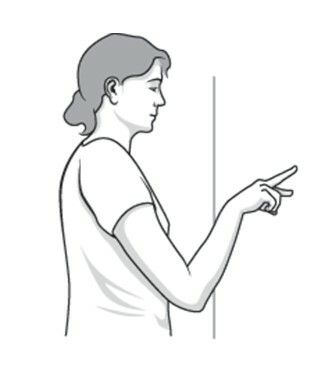 NOTE: With all of these stretches, it should be a stretch and not pain. If it is painful, ease off the stretch a little. 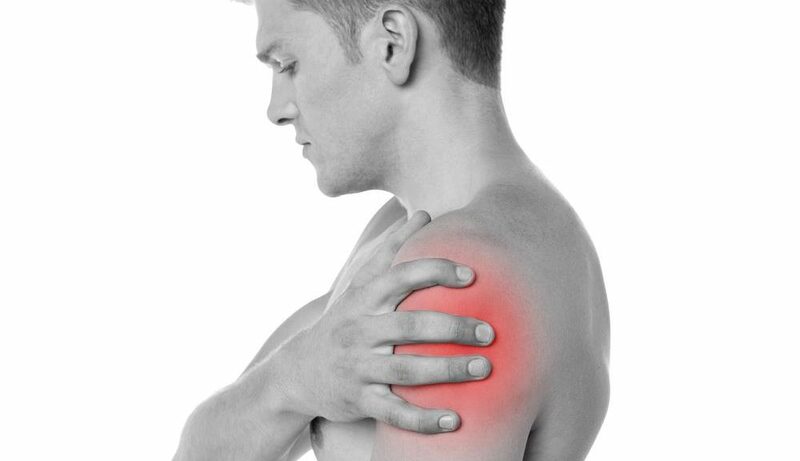 If you are suffering with shoulder pain or have any concerns about a shoulder injury, please feel free to get in touch by phone or email to speak to one of our highly qualified and fully insured osteopaths. We offer all our patients a COMPLIMENTARY 15 minute meeting with one of our osteopaths to see if and how osteopathy can help.